Proud to serve Non-Profits, Conferences, Small Businesses and Corporate Clients. Working with municipal and county governments, entrepreneurs and the business community has been immeasurably rewarding. I am proud of the impact my programs have had on the places where I live and the work small business owners and fellow entrepreneurs are capable of. "The session you led was a perfect opener for the conference. It connected people right from the start, and set a tone of openness and sharing that continued through Friday." "Thanks for a great presentation! Yours was the most talked about. It got the energy kicked into high gear." 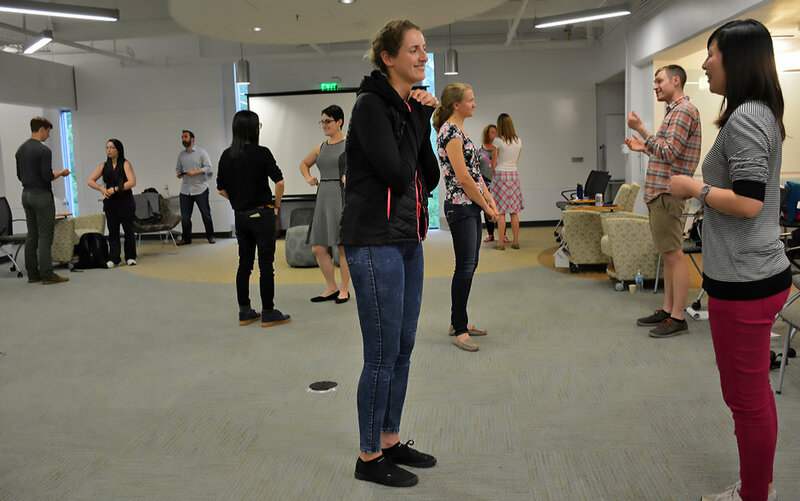 For almost 15 years I have partnered with the Chapel Hill-Carrboro Chamber of Commerce, facilitating community brainstorming sessions and delivering improv modules for its annual Leadership Program. I have delivered programs on collaboration for Leadership Triangle and have worked with regional associations and conferences in North and South Carolina, helping to develop and support the next generation of non-profit leaders, business owners and community stewards. "Thank you for committing your time and expertise. I’m grateful for the opportunity to learn more about our community from such thoughtful, accomplished leaders." Working with graduate students and undergrads at the University level has been a wonderful opportunity for me to impact the organizational leaders of tomorrow and our most innovative change makers of today. Programs in applied improv, creative problem-solving and collaborative play are welcomed right away on campus. "Thank you for your fabulous work yesterday with the Professional Science Master's students. It was our most active and entertaining session this semester and full of worthwhile skills for the students to consider." 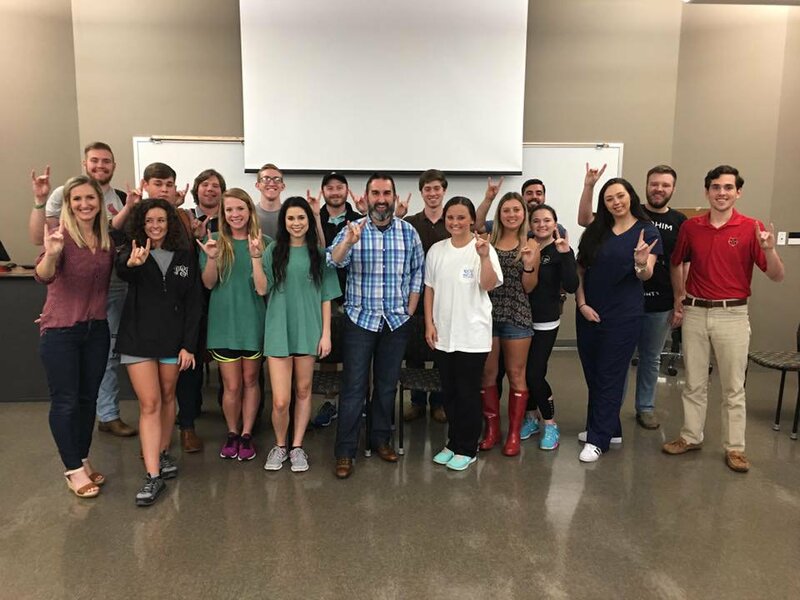 "Zach led an incredible workshop on marketing, sales and teamwork for our Sales Leadership class!" "Thanks for the workshop today – this was the best session you’ve done for my students. I particularly appreciated your wrap-up and the ‘what did you learn’ session at the end." "These workshops provide an interactive educational experience that allows everyone practical tools to apply immediately in their professional and personal lives. Our workshop with Zach was worth every penny." Interested in fostering a new approach and creating value for the students in your program? Want to help jump-start a forward-thinking environment of radical acceptance and unconditional support? Need to just have fun and destress? Reach out. We can work together to brainstorm programs that would be perfect for your school. For the last two years I've hosted a community Spelling Bee to benefit Habitat for Humanity in Chatham County, North Carolina. It has been a blast, but I'm certainly an odd pick for a community event in a county where I do not live. The connection was made because I had been a guest auctioneer years earlier for the Chapel Hill-Carrboro YMCA and apparently I am skilled at (gently) nudging donors. "It was a great night and I have so many emails saying how great you were! Thank you for making it a huge success in Chatham County! You were perfect and I am so grateful for all you did!!" I am moved by making programs available for people that might not otherwise get the opportunity to express themselves creatively. Two very special groups that have made an impact on me (at least as much as I trust my workshops have had on them) are The Arc of the Triangle and members at Club Nova (Carrboro). "Everyone had a wonderful time! It definitely made people more open to improv and all it can be. Through the opportunity to perform, members now have a unique chance to step out from behind the stigma or worries that mental illness has instilled on too many of our folks. Thank you for this chance." Life can be a rollercoaster, but Zach has always had the courage to keep going. Say "Yes!" and get some free tips and tools for your own life, delivered right to your inbox. Thank you! Your inbox will be kept safe.